Finding an optimum way to treat wastewater in the oil and gas industry is a crucial issue. 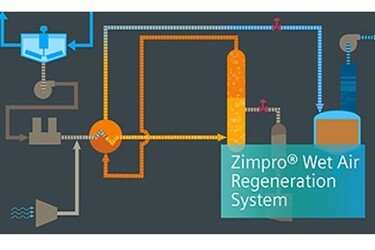 With its Wet Air Regeneration (WAR) system, Siemens is providing a method which works in combination with the powdered activated carbon treatment (PACT) system to recycle more than 90 percent of the required activated carbon, reliably destroy adsorbed contaminants, and convert sludge to ash. This avoids costly and laborious disposal to landfill. Both a resource and a byproduct: Water plays a vital role in a whole range of different industries. The wastewater produced as a byproduct naturally has to be disposed of or treated responsibly. In upstream and downstream activities, water management is highly complex and has to comply not only with global standards but also with environmental legislation and the relevant regulations governing energy consumption. 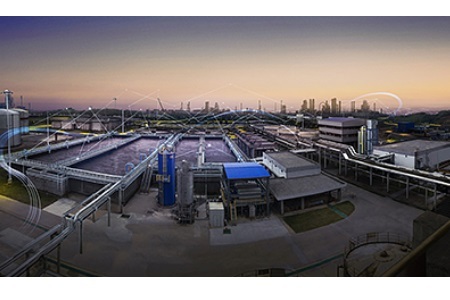 For this, Siemens Water Solutions offers its customers a particularly efficient and also environmentally sustainable process: the Wet Air Regeneration (WAR) system. The solution is based on the world-class Zimpro Wet Air Oxidation (WAO) system, which oxidizes contaminants in an aqueous solution using oxygen as the oxidizing agent. By combining a WAR system with a biological PACT system, the amount of fresh carbon required can be substantially reduced. The PACT/WAR system can be used to treat the most difficult-to-treat wastewaters, which can then be discharged or even reused in the refinery. This is done by adding powdered activated carbon to the wastewater during the biological treatment step. The WAR system is not only used to regenerate the spent activated carbon, but the process destroys both non-biodegraded organics and biological sludge. Use of the combined system consequently avoids the need for costly sludge dewatering, disposal, and liability.